Also catch Nancy Sun’s interviews in The Washington Post, Broadway World, and on WUSA9’s Great Day Washington! 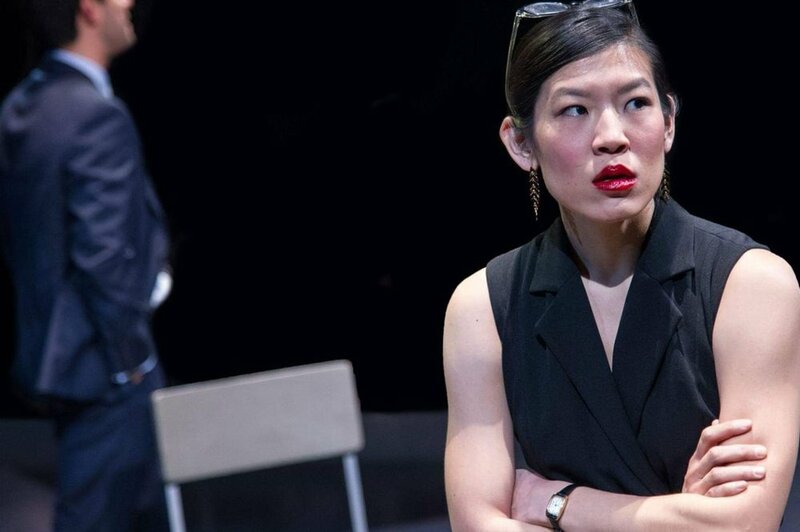 Nancy Sun will be playing journalist Judy Chen in the DC Premiere of Junk by Pulitzer Prize-Winning Ayad Akhtar! She will be making her Arena Stage debut in this production, directed by Jackie Maxwell and cast by Geoff Josselson. Performances run April 5th - May 5th, 2019. More info here. Performed in Marginal Loss (World Premiere) at the 42nd Humana Festival. Written by Deborah Stein, directed by Meredith McDonough, and produced by the Actors Theatre of Louisville. Cast by Paul Davis at Calleri Casting. Performed in the NYC revival of Completeness. Written by Itamar Moses, directed by Jeremy Landes, produced by Normal Ave. Appeared in a Mandarin-speaking role in NBC’s Shades of Blue finale opposite series regular Hampton Fluker. Cast by Rob Decina. Appeared in indie feature film Bruce!!! as part of Bam Cinema's New Voices in Black Cinema series, NYC's Movies Under the Stars Festival Friday program, Reelblack Presents in Philadelphia, and at the Martha's Vineyard African American Film Festival, where it won the Audience Award and Best Feature Film Award! Participated in a developmental workshop of Ali Viterbi’s Quick Change. Directed by Noam Shapiro during his artist’s residency at the Drama League. Shot my first SAG-AFTRA industrial. And signed with Archetype LA for management. Here’s to even more in 2019!